Drink Driving - What Alcohol Limit Applies? Drink Driving – What Alcohol Limit Applies? As Gold Coast traffic lawyers who present at QTOP*, we often ask attendees what the various alcohol limits are that apply in Queensland. There is often as much confusion about the limit as to the amount you need to consume to reach 0.05%. 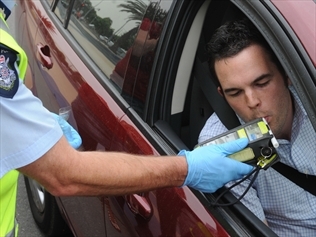 Many people are surprised to learn that even though they are holders of an open drivers licence, due to the nature of their driving they are required to have a zero BAC. Unfortunately we have had a number of clients who have been mistaken as to the alcohol limit that applies to them. If in doubt you should contact one of our Gold Coast traffic lawyers and we will be happy to schedule a complimentary 30 minute appointment or provide some preliminary traffic law advice over the phone. You should also be aware that after your licence has been disqualified by the Court, you are not automatically returned to a full open c class licence. You may find that you are placed on a r licence for a period and accordingly you will be the subject of a 0.00 BAC. You need to carefully check the status of your licence once you return from disqualification.